Are mass timber buildings effectively tinderboxes on steroids? The Architect’s Newspaper questions a campaign by the concrete industry to “ostensibly highlight wood’s shortcomings“. 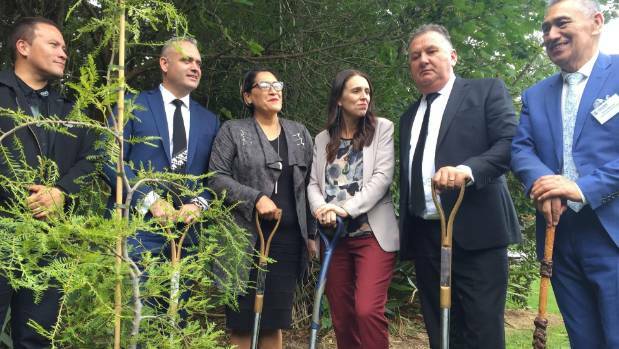 Maybe they just read today’s “spider-topping super wood” story; or watched our video on “fashion and forest fibres” or perhaps they’re just scared of losing market share. In Forestry news: BC uses pheromone pods to take on the Douglas fir beetle; Pennsylvania consumers are paying to address the emerald ash borer; and New Jersey is using controlled burns to reduce wildfire risk. Finally, Marketwatch says the current duty-driven lumber prices “aren’t built to last“; while a North Carolina journalist says the main beneficiaries of theses trade spats are “the owners of the land“. SAINT-FÉLICIEN, QC – Resolute Forest Products Inc. today announced a $52.3 million strategic investment plan for its Saint-Félicien pulp mill, located in the Lac-Saint-Jean region of Quebec. The announcement was made at a press conference attended by Quebec Premier Philippe Couillard, and many dignitaries and company employees. “The significant investments at Saint-Félicien are expected to improve several areas of the operation, increasing the average daily production capacity by 76 metric tons and reducing greenhouse gas emissions from the use of fossil fuels by 20%,” said Yves Laflamme, president and chief executive officer. Lumber prices have rallied more than 30% this year to reach their highest level on record, as U.S. duties on imports of the commodity from Canada have contributed to tighter supplies and soaring home-construction costs. But analysts are growing wary of tall timber prices. Among the possible threats is the World Trade Organization’s recent compliance with Canada’s request to examine the dispute by establishing two panels to rule on higher U.S. lumber duties. Technical analysts claim lumber prices are vulnerable because they’ve gotten above their fundamental value. …The lumber market has “all the hallmarks of an unsustainable bubble,” says Zimmermann. And “in line with the bursting of bubbles in the financial markets,” lumber prices may peak by midyear, then drop over the next few years and on into 2021-22, he says.prices. Oregon’s tax and economic development agencies are trying to determine a response after the owners of a shuttered Southern Oregon sawmill missed a May 3 deadline to return or reinvest $1 million in taxpayer incentives. Rough & Ready mill reopened in 2014 with the help of more than $12 million in federal and state tax credits and a state grant, but was shut down within 20 months. Business Oregon, the state’s economic development agency, signed off on the tax credits despite red flags that the project included ineligible costs and had failed in the past despite taxpayer support, The Oregonian/OregonLive reported in March. The project was overseen by Portland nonprofit Ecotrust, which is now pushing to negotiate a deal with the state. This is an on-again, off-again clash dating to the early 1980s. Lumber prices are really high right now. If one adjusts for inflation, current prices are no longer record-setting. But an interesting pattern does appear if one adds in a few other key data points. It appears that every time the U.S. picks a fight with Canada over its alleged subsidies of softwood lumber, U.S. lumber prices go up. Threats of tariffs and follow-up tariff increases also affected prices. …Various bi- and multi-lateral trade organizations have been charged with evaluating it, and as columnist Megan McArdle wrote last year for Bloomberg: “When trade bodies get around to ruling, those rulings are often mixed. …The main beneficiaries of these softwood lumber trade spats appear to be owners of the land on which softwood-lumber-producing trees are grown. An alleged felon, declared public enemy number one by certain environmental groups, is facing trials in multiple venues. He has already been convicted in Montreal, Victoria and Fort McMurray amongst other locations. Other localities are deciding whether to put him on trial. We are speaking about Mr. Plastic Bag. The prosecution charges him with many environmental crimes — visual blight on the landscape, choking our waterways, contaminating our oceans and filling our landfills and contributing to greenhouse gases amongst other things. The prosecution argues that paper bags or reusable cotton totes are much less damaging to our ecosystems. …So what about paper bags? Paper at least is from a renewable resource (trees or other plant material) but paper bags require significantly more energy to produce and transport than plastic bags so their carbon footprint is significant. Is wood dangerous? It’s one of the oldest, most sustainable building materials (if harvested correctly) and recent advances in cross-laminated timber (CLT) have made it possible to build taller, multifamily timber buildings, but local building codes are just beginning to catch up….Despite their widespread use, concrete industry groups strenuously object to the use of “combustible materials” in construction. One industry group has launched an email campaign to ostensibly make members of the AEC industry aware of (non–fire-treated) wood’s shortcomings. …With ominous subject lines like “Georgia Bill Would Leave Savannah Exposed to Hurricane Threat” and “Flames Quickly Consume Combustible Denver Apartment Complex Under Construction,” the emails seem to sow doubt about the durability and safety of timber buildings. The five-story, 84-unit Denver building detailed in the latter missive was under construction when it was engulfed by fire. From the high use of water and pesticides to produce cotton, to the climate impact of manufacturing synthetic fibres, the fashion industry is one of the most resource intensive industries in the world. In response, the fashion industry is increasingly looking to implement sustainability within its supply chains. This week, we are at the Copenhagen Fashion Summit to promote our solution directly to fashion brands and retailers. The solution? Forests, of course! …The production of forest fibres uses one third of the energy and 1/60 of the water compared to the production of cotton. There’s nothing like a sturdy bit of English oak. But when it comes to most manufacturing that requires strength, steel is, understandably, usually employed. However, researchers at KTH Royal Institute of Technology in Stockholm have managed to produce a bio-based material based on wood that supposedly surpasses the strength of all known bio-based materials, fabricated or natural, including spider silk. This new lightweight material could in theory be used not only to create new kinds of super-strong furniture, but new airplanes, cars, buildings and other products. 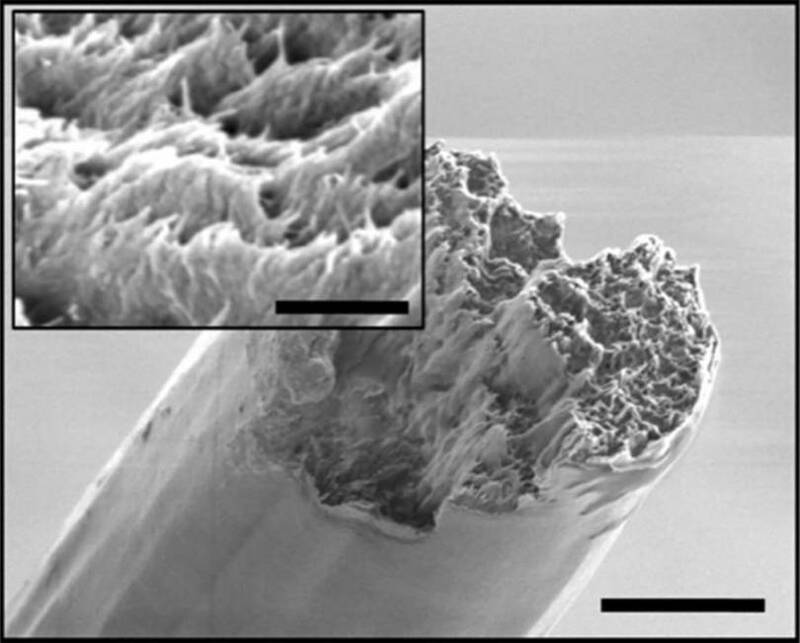 …Söderberg says the study opens the way for developing nanofibre material that can be used for larger structures while retaining the nanofibres’ tensile strength and ability to withstand mechanical load. After the province announced that it was saving “Eagle Heights”, many readers wondered what territory that name actually covered. The 144-hectare Eagle Heights acquisition protects a unique pocket grassland, and is home to rare and endangered species, an old-growth Douglas fir forest, limestone karst features, and other red-listed ecosystems, according to a release from the premier’s office. …The acquired lands are near Koksilah River Provincial Park northwest of Shawnigan Lake. …Island Timberlands has had to be involved in the talks as well and the company’s chief forester, Bill Waugh said the company “is pleased to be able to work collaboratively with BC Parks to achieve government’s objective of protecting the unique grassland ecosystem at Eagle Heights. Prince George and area homeowners are making their contribution to the war against the Douglas fir beetle. Taking advantage of a program being run out of the Industrial Forestry Service Ltd. office, they’ve purchased more than 17,000 pods of pheromone, at $1 each, in the name of protecting the trees against the bugs. “People love their Doug fir,” IFS science research specialist Serena Black said Friday. The pods remain available for purchase but those interested in buying them should move quickly and they may come away disappointed. Black said they needed to be up on the trees by the end of April to be at their most effective. …The pods are available at a cut rate thanks to a subsidy provided by Carrier Lumber Ltd., Canfor, the Sinclar Group and the Northern Interior Cruising Committee. Normally, they would cost $1.50 each, tax included. Blackened logs have been a common sight, piled high on logging trucks travelling in to local mills this season. Since the 2017 wildfires got under control last October, 1.3 million cubic metres of fire-impacted timber has been put under cutting permits, Doug Donaldson, Minister of Forests, Lands, Natural Resource Operations and Rural Development (FLNRORD), tells the Observer. “Much of that is going to mills in the Cariboo, more Williams Lake than [Quesnel],” he explains, saying timber affected by the Plateau fire is still useable. Some of the burned timber is not merchantable due to the intensity of the fires. Between April 1 and Nov. 30, 2017, 1,346 wildfires had burned more than 1.2 million hectares in B.C., according to a FLNRORD press release issued in December 2017. 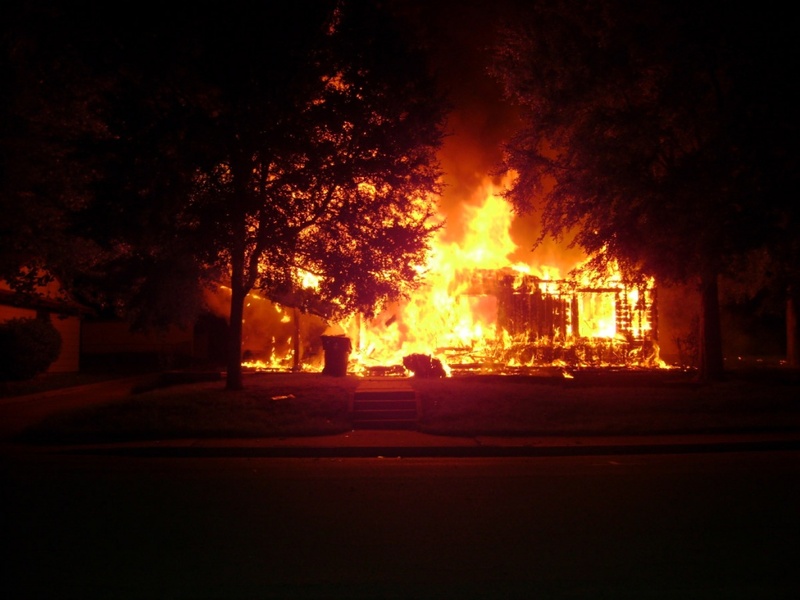 Burned timber is only salvageable for a year or two after a fire, sometimes less. WESTERN NEWFOUNDLAND – A disease that has devastated hibernating bats in the Maritime provinces and the northeastern United States has been confirmed in western Newfoundland. According to the Department of Fisheries and Land Resouces, white-nose syndrome was found in three little brown bats. Both the little brown bat and the northern long-eared bat in Newfoundland and Labrador are susceptible to white-nose syndrome, a public advisory from the department indicated. White-nose syndrome is recognized by the formation of a ring of white fungus the faces of infected bats, which suffer severe damage to wing tissue. The bats wake up more frequently from hibernation and use up limited energy reserves quickly. As a result, they often die at hibernation sites or while out trying to find food and water. COLUMBIA FALLS, Mont. — The Flathead Family Forestry Expo has been going on all week, but today was the day families were able to enjoy it. The Family Forestry Expo showcases what the forest has to offer. Over 700 people attended Saturday’s event. …”We came out here to learn about machinery, machinery that cuts trees down and debranches them,” Benton Walker told NBC Montana. From logging demonstrations to bear aware tents where families can interact with the demonstrators, there was a lot to explore at the Forestry Expo. …Fish, Wildlife and Parks, the Flathead National Forest and many others work to put on the event. PROSPECT — Federal forest managers are turning their eyes on a large swath of public land north of Prospect for an ambitious series of forest restoration projects aimed at reducing wildfire risk, improving stream and wildlife habitat and improving forest health. The Rogue River-Siskiyou National Forest is proposing to thin more than 25,000 acres of timber stands and introduce prescribed fire to 10,560 acres to reduce future wildfire risks and intensities, according to the forest. This so-called Stella Landscape Restoration Project also includes plans to restore streamside riparian zones, aspen meadows and areas around legacy pines. It also proposed to decommission or downgrade more than 120 miles of logging roads in an area environmentalists once used as the poster child for fragmented forest habitat. GREENSBURG – A green metallic beetle is costing local consumers millions of dollars a year. The emerald ash borer is killing ash trees across Pennsylvania. The trees can fall in woodlots, in backyards and on electric wires. “Our strategy is to get them before they get us,” said Todd Meyers, a spokesman for West Penn Power. “It’s a problem growing increasingly dire for us. They grow together in stands. There’s no way until they start dying to know how many are out there.” West Penn Power this year plans to remove more than 68,000 ash trees along distribution lines in central and western Pennsylvania. By the end of the year, the utility will have cut out about 150,000 ash trees since first targeting the “dangerous trees” in 2014. … Dealing with just 17 million of them was estimated to cost nearly $11 billion. Gaudy orange flames leaped up wizened corn stalks and lapped at wild grasses that clogged a field in one of New Jersey’s wildlife management areas. Within a few minutes, the searing flames in the middle of the field had leaped 40 feet into the air, tinting the plumes of smoke that billowed all around a pale orange. … Members of the state’s Forest Fire Service paced the edge of the burning field with collapsible rakes and rhino tools — a cross between a hoe and shovel — to rub out stray licks of flame. But the firefighters were not there because they had received an urgent call to extinguish the wildfire before it could reach nearby homes. They had set the fire themselves. 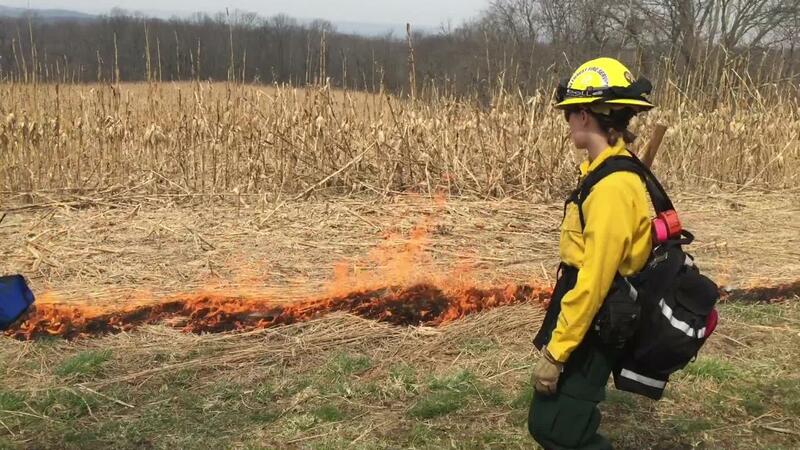 Every year during the late winter and early spring, the Forest Fire Service conducts prescribed or controlled burns in state and federal parks and forests throughout New Jersey. Last week’s injunction granted by the Federal Court stopping VicForests from logging certain areas in the Central Highlands until a court hearing next year is a ray of hope for those seeking an ecologically sustainable approach to native forest logging. The case – brought by Friends of Leadbeater’s Possum – is based on the failure by VicForests to abide by the Code of Practice for Timber Production 2014, the regulations governing timber harvesting. Yet the regulatory breaches cited to the court only scratch the surface. The Rubicon Forest Protection Group presented evidence to the current review of Victorian Regional Forest Agreements showing clear-felled areas far larger than permitted; blackberries rampant and unchecked; washouts on steep slopes that should not have been logged; the popular Rubicon Historic Area logged; tourist roads left with no buffers; retained trees killed in regeneration burns; springs and ephemeral watercourses logged and silted. A court in eastern Poland has acquitted environmentalists who had blocked government-ordered logging in one of Europe’s last pristine forests that has been condemned by the European Union. Last June, the activists chained themselves to heavy equipment, thus blocking for some time the large-scale felling of trees in the Bialowieza Forest. Police and forest guards forcibly removed them and took the incident to court. A court in eastern Poland acquitted the environmentalists late Thursday, saying they had acted in the public interest, trying to protect valuable national assets. The ruling goes against the government’s insistence, that the extensive logging was a necessary step in the fight against the spread of the bark beetle. A series of forest fires in Mackenzie County Saturday have been contained overnight and the state of local emergency was cancelled Sunday morning. There are no immediate threats to structures and both Highway 58 and Highway 35 have reopened, county officials said in a public notice Sunday morning. Motorists are advised to watch for crews working in the area. Forest fires on either side of Highway 35 led RCMP to close the area about 30 km north of the town of High Level, RCMP officials said in a news release Saturday. Mackenzie County declared a state of local emergency just after 7 p.m. Saturday and issued a voluntary evacuation of a campground and around a dozen cabins on Hutch Lake as a precaution. The evacuation was lifted at 9 p.m. allowing residents to return to their homes. The Hutch Lake campground remains closed. The B.C. Wildfire Service says a 30 hectare forest fire burning west of Fort Nelson in Northern B.C. is under control. The Northern Rockies Regional Municipality says the Emergency Operations Centre was activated because of the fire’s proximity to the town. 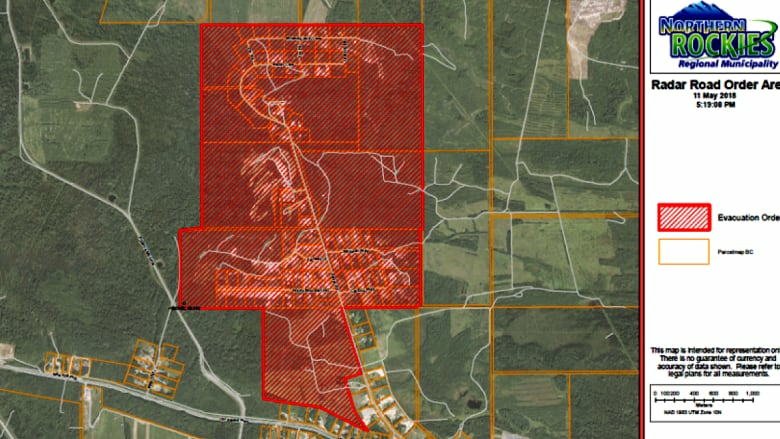 It issued a local state of emergency and an evacuation order for an area west of the town in the Radar Road area, but has rescinded the order, noting it is safe for any evacuated residents to return to their homes. The wildfire service tweeted Friday afternoon that its personnel were responding to the fire with members of Fort Nelson’s Volunteer fire department. airtankers and a helicopter. The Payson Airport has turned into a firefighting air attack base, with helicopters large and small on the tarmac ready to battle major fires like the Tinder Fire.Currently, eight helicopters and their helitack crews operate out of Rich Henry Field in Payson. 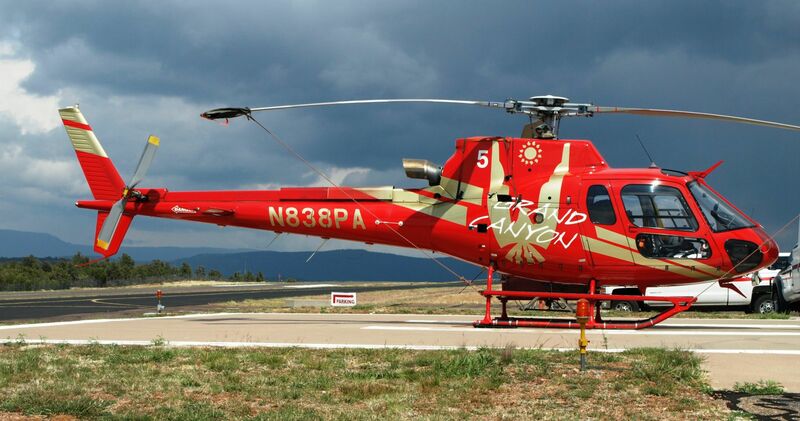 One crew, our own Payson Tonto Helitack crew, stays at the airport from April 1 until the monsoons take over.Payson Tonto Helitack crew assistant manager Rob Wilson said, “Safety is No. 1. Even in down time, the mechanics are checking the equipment and the crew are continuing their training.” Seven crews are “guests,” Chester Helitack, Douglas Helitack, Grand Canyon Helitack from Arizona, Sandia Helitack from New Mexico, Grande Ronde Rapellers Helitack from Oregon.The Forest Service, National Park Service and other federal agencies maintain the helicopters to respond to wildfires around the country. It takes special crews with maximum coordination. 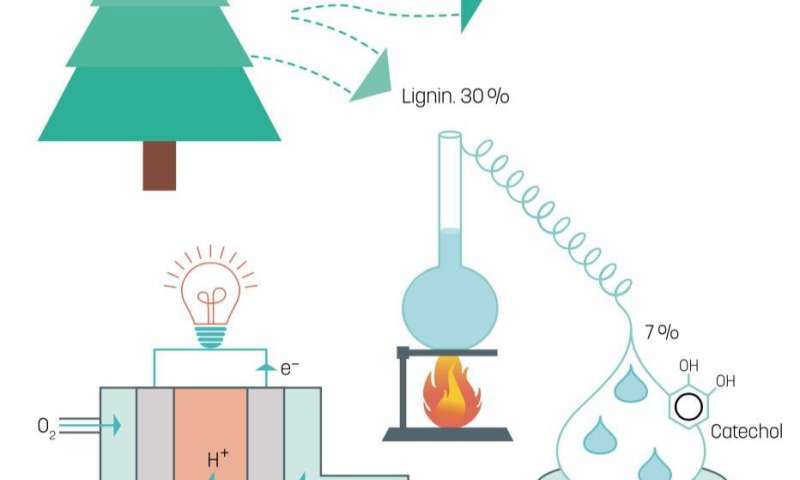 Researchers from the Laboratory of Organic Electronics at Linköping University have developed a fuel cell that uses lignin, a cheap by-product from paper manufacture and one of the most common biopolymers. …During the chemical manufacture of paper pulp lignin is dissolved in either the sulphate or sulphite process, since the cellulose is the desired component for making paper. Lignin is cheap and readily available. It is a biopolymer that consists of a large number of hydrocarbon chains woven together, which can be broken down in an industrial process to its energy-rich constituent parts, benzenediols. One of these, catechol makes up 7 percent of lignin. Researchers at the Organic Energy Materials group at LiU, led by Professor Xavier Crispin, have discovered that this type of molecule is an excellent fuel for use in fuel cells. A new round of free safety workshops for forestry workers will kick off this week in regional New South Wales, Victoria and South Australia under the guidance of the Australian Forestry Contractors Association (AFCA). The three-hour workshops provide training on truck rollovers, load restraint risks and Chain of Responsibility, and have been developed to address challenges unique to forestry in partnership with load restraint engineering consultancy Engistics. 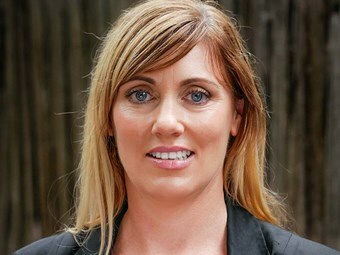 AFCA general manager Stacey Gardiner says the sessions are aimed at anyone involved in forestry haulage, including employees of forest management companies and contracting businesses as well as operators who load and unload wood, truck drivers and processors who accept wood from trucks.